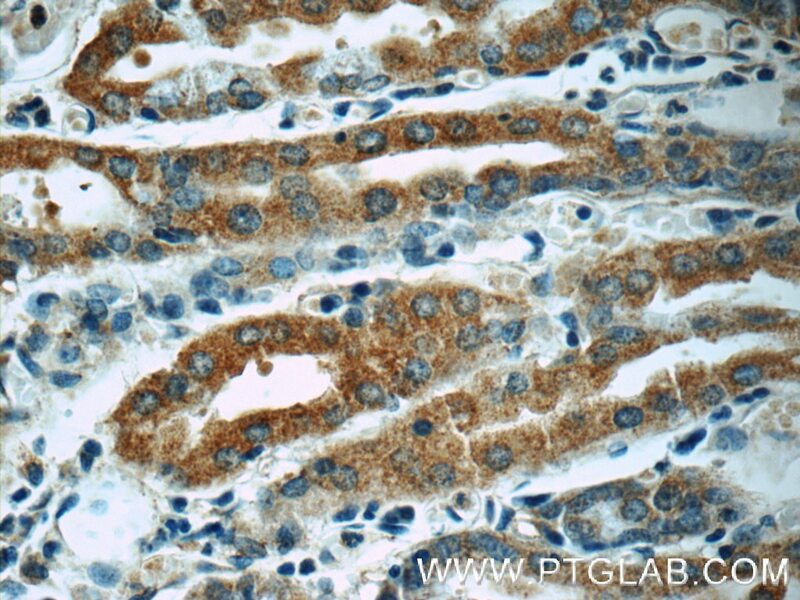 Immunohistochemical analysis of paraffin-embedded human kidney tissue slide using 55469-1-AP (RAB7A antibody) at dilution of 1:200 (under 10x lens) heat mediated antigen retrieved with Tris-EDTA buffer(pH9). 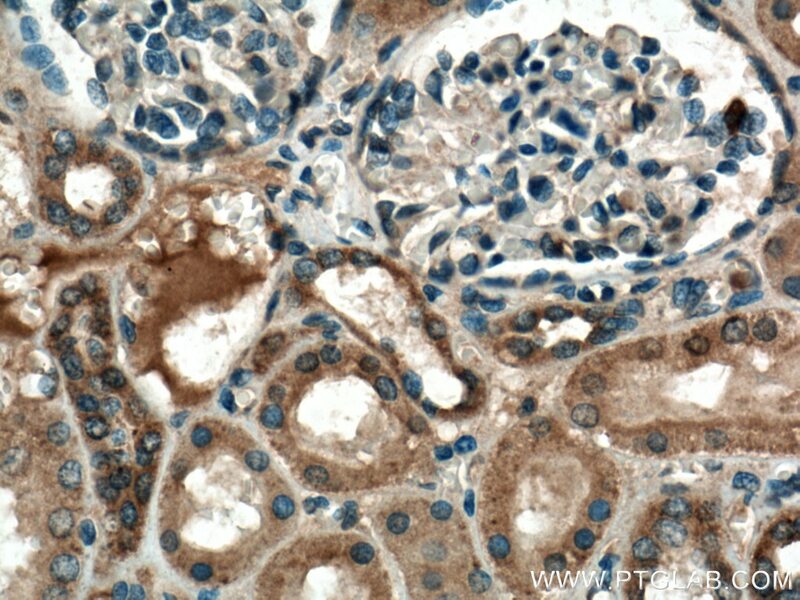 Immunohistochemical analysis of paraffin-embedded human kidney tissue slide using 55469-1-AP (RAB7A antibody) at dilution of 1:200 (under 40x lens) heat mediated antigen retrieved with Tris-EDTA buffer(pH9). 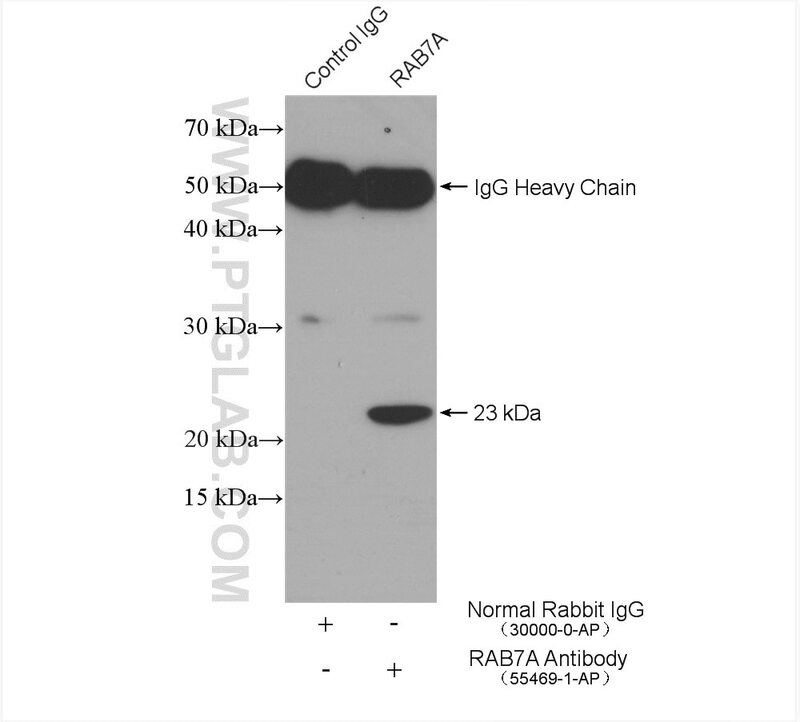 RAB7A, also named as RAB7, belongs to the small GTPase superfamily and Rab family. 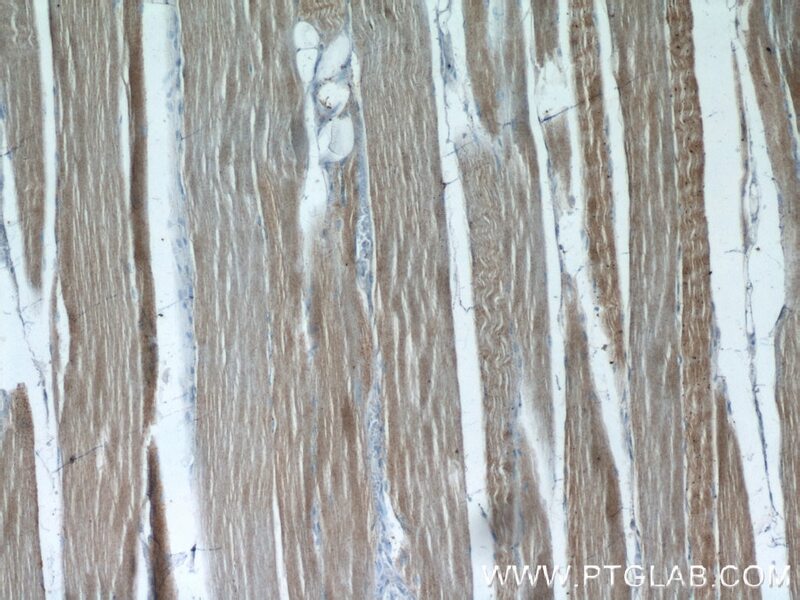 It is involved in late endocytic transport. 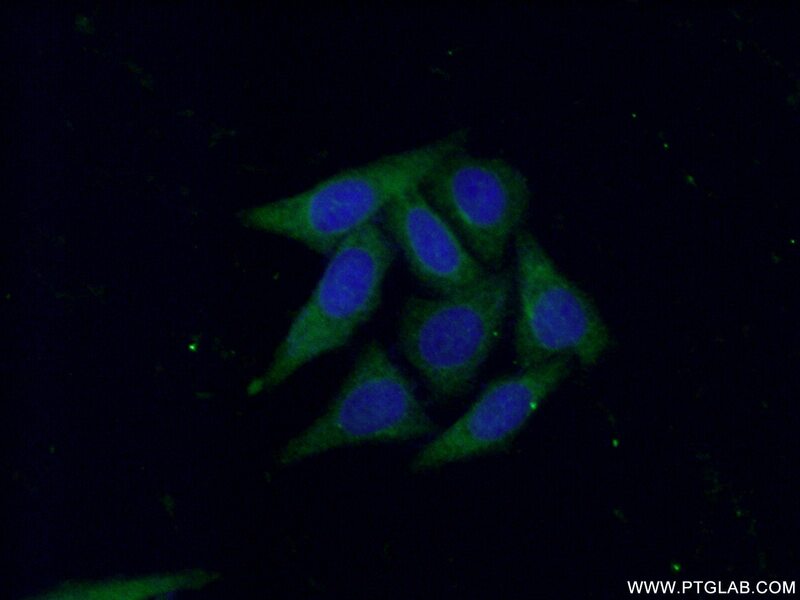 RAB7A contributes to the maturation of phagosomes (acidification). 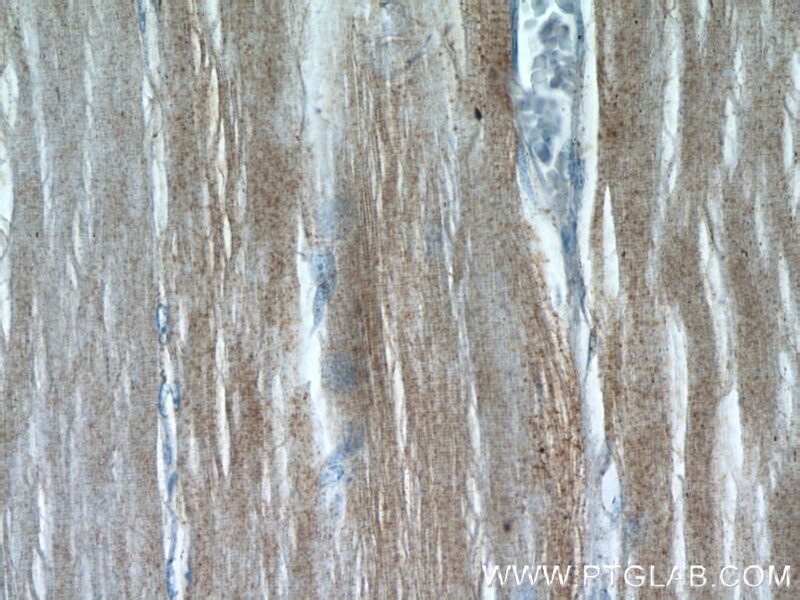 Defects in RAB7A are the cause of Charcot-Marie-Tooth disease type 2B (CMT2B). 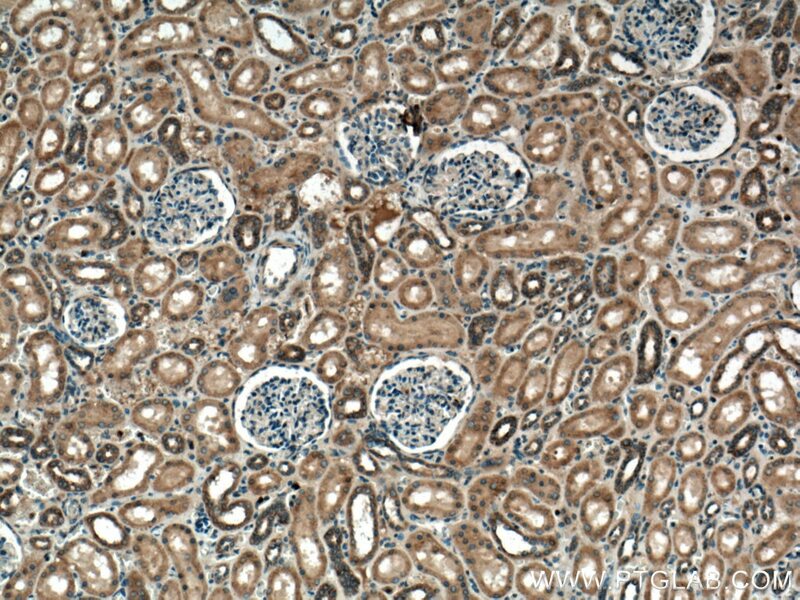 This antibody is specific to RAB7A. Synergism between upregulation of Rab7 and inhibition of autophagic degradation caused by mycoplasma facilitates intracellular mycoplasma infection. Parkin Modulates Endosomal Organization and Function of the Endo-Lysosomal Pathway. 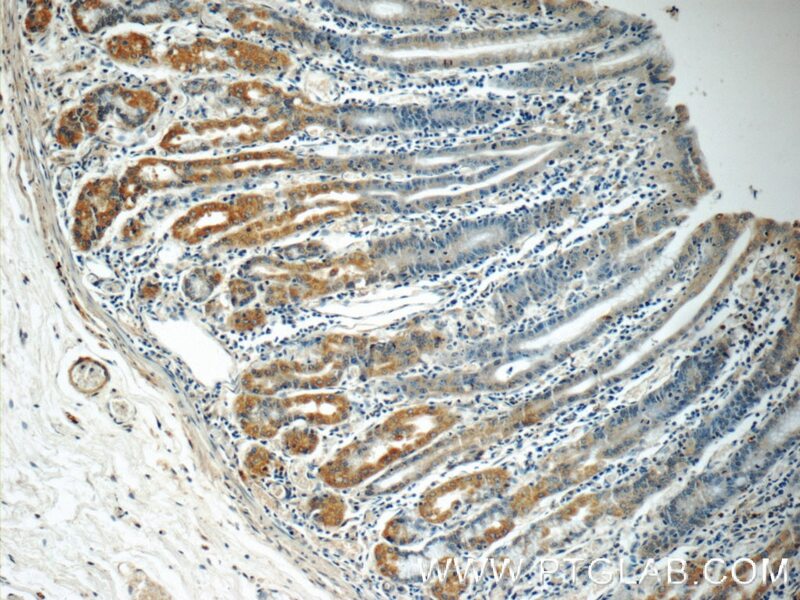 Hepatitis B virus X protein is capable of down-regulating protein level of host antiviral protein APOBEC3G. 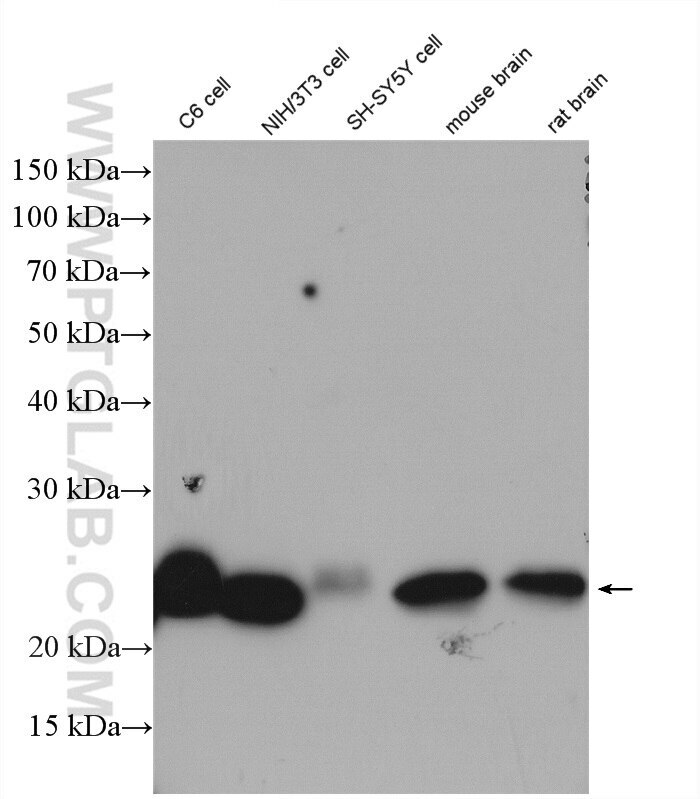 Reduced graphene oxide triggered epithelial-mesenchymal transition in A549 cells.